Hello! 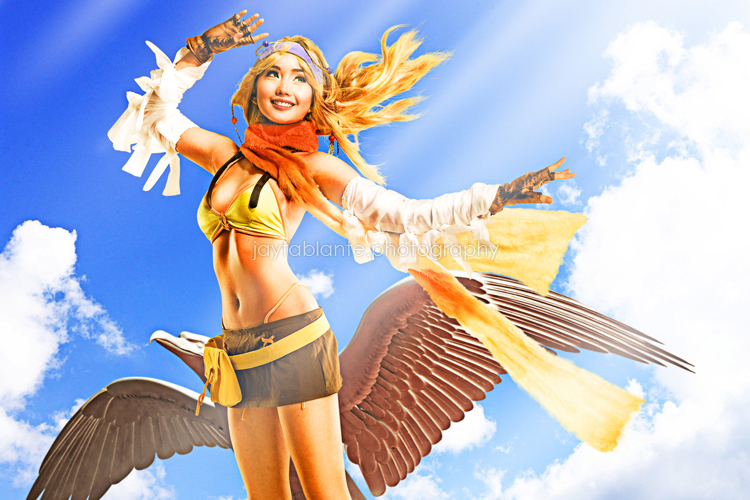 I'm Alodia Gosiengfiao, a cosplayer, artist, model, figure collector and blogger residing in the Philippines. I just graduated a month ago from the Ateneo de Manila University with a BFA Information Design degree. You may know me as the pink-haired school girl from Danny's Toycon 2008 post some time ago. It all started with my deviantart page, blackmage9.deviantart.com wherein my first submissions were artworks related to anime and videogames, until I gradually added in some cosplay photos and photos I took of my figurine collection. Since I'm currently active in the cosplay community here in our country, my journal entries often tend to lean on reporting about those events. 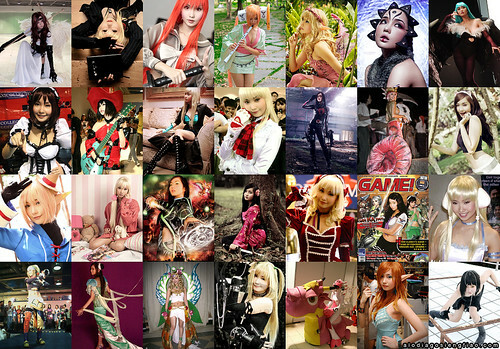 Okay, just a brief overview on my history as a cosplayer. I started cosplaying at the age of 15 by joining competitions here in the Philippines and fortunately winning awards in those events. When I turned 18, I've been getting invited as a guest judge to several cosplay competitions once in a while, which means I am prohibited from joining the competitions, right? But that doesn't really stop me from cosplaying. Occassionally, my friends and I hold cosplay photoshoots. We invite photographers, spectators, fellow cosplayers and anyone who could lend a hand. We try to share the love of cosplaying not just during the shoots or events here in our community but also online, from posting artworks to posting out-takes and reporting about the happening. As for collecting figures, I've been into it for 1 and half years now and one of the people that inspired me to start my collection was Danny. Before collecting, I just used to browse through photos and reviews of figures online. After some time I finally received one as a gift and eventually they multiplied. After almost a year of collecting, I also delved into photography and started taking photos of my figure collection. For the meantime, you can drop by my gallery, www.alodiagosiengfiao.com to see what we've been cooking up for the past couple of months/years. Heehee! Thank you! COMPUTER SKILLS: Proficient in Adobe Photoshop, InDesign, Illustrator, Corel Painter, Microsoft Word, Power Point, and Internet research. LANGUAGE SKILLS: Fluent in English and Tagalog/Filipino. HOBBIES: Cosplay, Modelling, Illustrating, Figure Photography, Blogging, Playing the Piano, Playing Videogames. COLLECTIONS: Art books, Figures, Wigs. For questions or more information, please send an email to alodia@gmail.com. ano to sa last part?? very beautiful and wondrous reached ! for your beauty. You are really precious. Very beautiful and inspiring! I just happened to find your photos as Misa and I was inspired to go as her for Halloween!! Thanks a bunch, can't wait to see more! can't believe you cosplayed shana. You're from the blue batch right? I came in when you guys graduated. Yay blue batch. Haha.